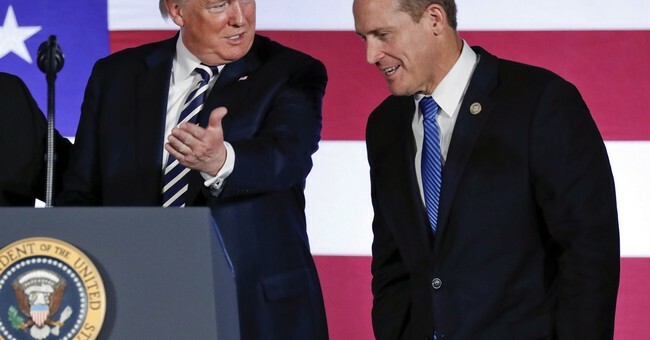 Republican incumbent Ted Budd won North Carolina’s 13th Congressional District, which was a hotly contested race with Democrat opponent Kathy Manning. “I first ran for Congress to shake up Washington, a place that badly needed North Carolina values. So far, we’ve done just that: we’ve passed tax reform, putting more money back in your pocket. We have helped families struggling with opioids. And we’re just getting started!” Budd tweeted over the weekend. Throughout the campaign Budd tied Manning to Democratic leadership, arguing that she’d be furthering Nancy Pelosi’s interests. Manning, meanwhile, tried to keep healthcare as her focus, attacking Budd for voting for Republican positions on healthcare. She also characterized him as becoming part of the swamp. Indeed, she did. The final numbers were 51.6 percent to 45.5 percent. Rep. Ted Budd thanking his family during victory speech at Bermuda Run...thanking his staff, also thanks his opponent Kathy Manning, "I have tremendous respect for anyone who is willing to jump into the arena."